Lutz Eichholz from Kaiserslautern, Germany ranks among the best unicyclists in the world. The four time world champion and world record holder is known for pushing the limits on his single-track vehicle with one wheel. Lutz likes to practice his sport in alpine terrain, always looking for new obstacles and challenges. Now the 29-year old professional unicyclist traveled in the driest Desert in the World, the Atacama in Chile. Together with Mountaineer Tobias Kleckl and his girlfriend Giulia Tessari the goal was it to climb a 6000m peak at Passo San Fransisco. Lutz wanted to descent this mountain by unicycle. 4 times they tried but each time some of their equipment failed due to the rough nature. After so many tries Lutz and his crew understood that it was not the right time and moment to climb up the Peak. 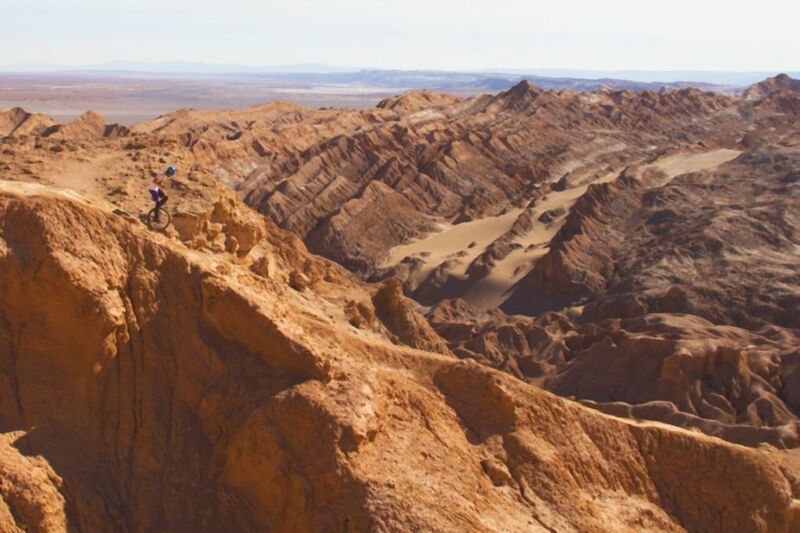 While being stuck at over 4000m Lutz found the inspiration for a new goal: to find the perfect line in the Atacama Desert and ride it down by unicycle. Giulia captured the Lines Lutz found with her camera and the result is the stunning movie “La Linea Perfecta”.